One of the founding members of the Editorial Committe of the Annual Review of Statistics and Its Application, Xihong Lin, has been elected to the US National Academy of Medicine. Xihong Lin is the Henry Pickering Walcott Professor of Biostatistics, professor of statistics, and coordinating director of the Program in Quantitative Genomics at Harvard T.H. Chan School of Public Health. Warmest congratulations from all of us at Annual Reviews. The winner of the 2019 Selman A. Waksman Award, presented to recognize a major advance in the field of microbiology, is Annual Reviews Board Member, Sharon R. Long, Stanford University. Long is a pioneering molecular biologist whose research on the symbiosis between plants and nitrogen-fixing bacteria explains how some plants thrive without nitrogen fertilizer, making agriculture and natural environments more sustainable. In recognition of the award, we’ve made the PDF of Long’s 1989 Annual Reviews article, entitled Rhizobium Genetics, freely available to download. Thank you, Sharon, for your ground-breaking research and for your many contributions to Annual Reviews. Congratulations to Robert C. Kennicutt, Jr., winner of the 2019 NAS Award for Scientific Reviewing. 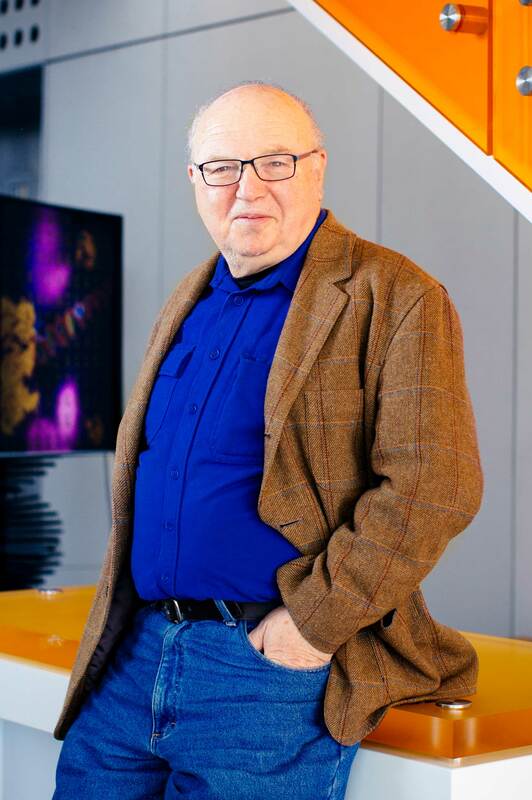 Congratulations Robert C. Kennicutt, Jr., Professor of Astronomy, University of Arizona; Executive Director of the Mitchell Institute for Fundamental Physics and Astronomy, Texas A&M, for winning the 2019 National Academy of Sciences Award for Scientific Reviewing, sponsored by us! Kennicutt’s influential 1998 review paper, “Star Formation in Galaxies Along the Hubble Sequence,” has become one of the most-cited papers in astrophysics. The paper (PDF freely available to download here) synthesized a broad review of stellar formation, proving a critical intellectual foundation for the field, and also gave birth to two new fields of investigation: the characterization of tracers of star formation rates and the study of the connection between gas and star formation in galaxies. The award will be presented on Sunday, April 28 at 2:00pm in Washington, D.C., at the NAS Annual Meeting. More information on all the NAS 2019 Award recipients can be found here. Congratulations to Annual Review of Resource Economics Co-Editor David Zilberman, of the University of California Berkeley, who won the 2019 Wolf Prize in Agriculture. Image credit: UC Berkeley, College of Natural Resources. “Dr. Zilberman has incorporated biophysical features of agroeconomic systems to develop economic models and econometric decision-making frameworks to answer fundamental agricultural economic and policy questions in several important areas,” the announcement reads. “Adoption Versus Adaptation, with Emphasis on Climate Change,” in the 2012 Annual Review of Resource Economics. “Pest Management in Food Systems: An Economic Perspective,” in the 2012 Annual Review of Environment and Resources. “Agricultural Biotechnology: Economics, Environment, Ethics, and the Future,” in the 2013 Annual Review of Environment and Resources. “An Alternative Paradigm for Food Production, Distribution, and Consumption: A Noneconomist’s Perspective,” in the 2015 Annual Review of Resource Economics.